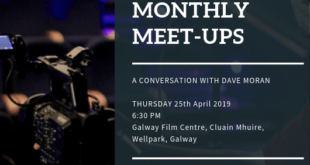 Galway Film Centre brings you ‘Managing as a Freelancer’, a series of informative workshops aimed at freelancers in the Audiovisual sector covering a range of topics including Marketing and Branding, CV presentation, Workplace Best Practice as well as Case Studies. Our second session of the series is Managing Your Brand and deals with marketing yourself as a Freelancer. Siobhán Ní Ghadhra, Owner/Producer of Danú Media and Executive Producer of Ros na Rún, will focus on CV Presentation and will provide an insight into what ‘Heads of Department’ want to see on an up-to-date CV as well as advice on how to approach employers. Caroline Ní Dhubhchoin, Editor of TG4s social hub BLOC, will lead participants through the many aspects of marketing and branding and the use of social media for an individual. 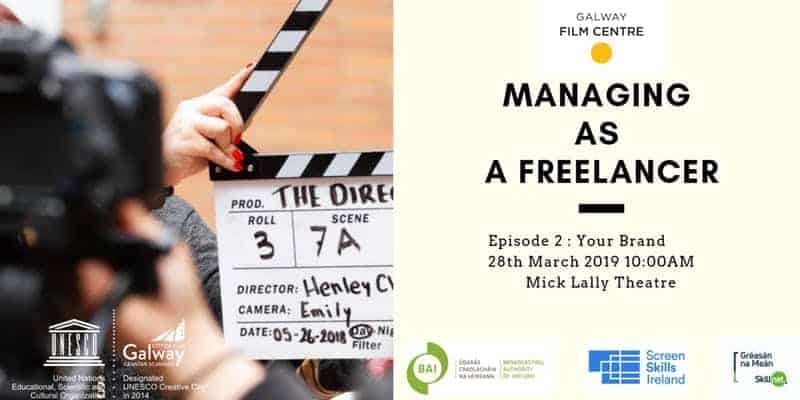 Managing as a Freelancer is a series of workshops brought to you by Galway Film Centre and Galway, City of Film and is supported by the Broadcasting Authority of Ireland, Screen Skills Ireland, and Gréasán na Meán Skillnet. Siobhán Ní Ghadhra –Siobhán is CEO of Danú Media and Executive Producer for Ros na Rún for TG4. Her numerous credits include Executive Producer of the feature film “Sanctuary” which won the Best Irish Feature at the Galway Film Fleadh 2016. Siobhán has many years’ experience as a Producer. She has won two EMMY awards, an IFTA award and the Annecy prize, as well as receiving BAFTA, IFTA, Kidscreen and Puncinella nominations over the years. Siobhán is a former member of the Board of the Irish Broadcasting Authority, and is a member of the US Academy of Television Arts & Sciences and IFTA. She is on the Steering Board of the Blue Teapot Theatre Company in Galway and is Chair of Media Antenna, Creative Europe Desk in Galway. She is currently a member of the Board of TG4 and was recently appointed to the External Strategy Board of NUIG. She has acted as a judge for IFTA and the Galway Film Fleadh and a guest lecturer in GMIT and NUI Galway. She has degrees in Irish and Economics, Law and Applied Communication from National University of Ireland, Galway. Caroline Ní Dhubhchóin –Caroline is currently editor of TG4’s multiple award- winning short form digital hub, BLOC. She has worked in the TV & media industry for over 18 years as a producer, director, presenter and editor, covering a variety of genres including kids TV, light entertainment, factual, drama, the arts and current affairs. Caroline holds postgraduate qualifications in Journalism, Drama & Theatre, Education and Digital Marketing respectively. In more recent years she has focused her attention on short form social video including TG4 Foghlaim which was awarded the European Language Label in 2017. Caroline is also a member of international juries Circom & Ciak Junior. 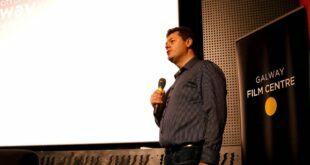 As an advocate of the omni-channel content marketing approach, Caroline regularly hosts workshops on mobile journalism (MOJO) and content marketing throughout the country.